Upon arriving at Tagudin to continue my trek up north, the Ilocos heat and humidity got the the better of me. 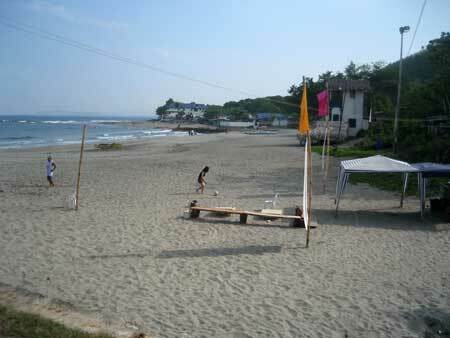 Instead of venturing further north where temperatures are higher, I took the southbound bus to hit the waves of San Juan, La Union. 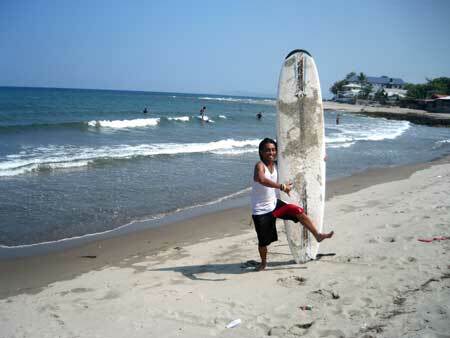 San Juan is also known for surfing...hey, why not? 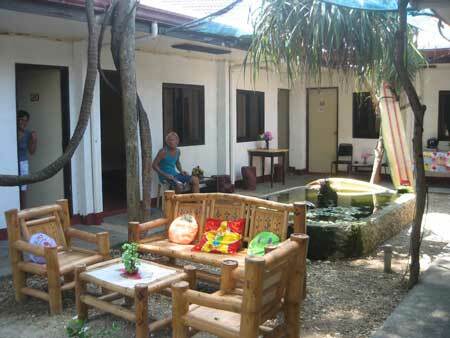 Asked where I could find a dirt-cheap place, Josh recommended staying at Hacienda Peter at P400 for a fan room. Still pricey. I asked around for a dorm-style room. 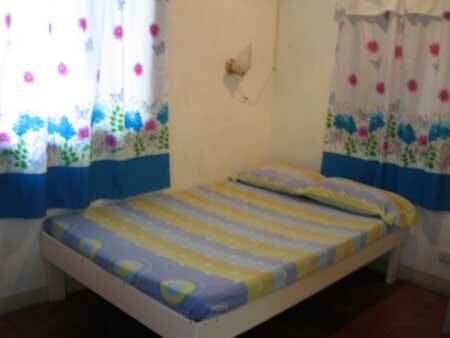 Voila, there's one for an affordable P150/night. It's really a glorified sardine can with a run-down common washroom, but that's exactly the price point I was looking for. One thing good about traveling alone is that I don't have to be concerned about a companion's preference. I can do things guerilla-style without anyone complaining. One thing going for San Juan is its wide and continuous beach. The entire strip is far from developed, but I could see it being the next Boracay. Resorts and beach bars can line up on a boardwalk. Beachcomers can stroll and chill in any bar. San Juan is only 6.5 hours from Manila by land. Boracay is an expensive plane ride. Well, just thinking aloud. I can't say enough about the advantages of having this. With my PacSafe, I can just lock my backpack on a lampost, or inside a waiting jeep. I can then roam around town without having to carry a bulky and heavy pack on my back. Also, with dorm-style rooms where many hands can have access to your stuff, the PacSafe rules again. 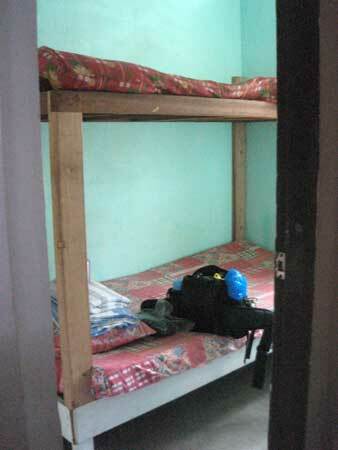 Without it, I would be constrained to take a private (and pricier room). In the long term, this pays for itself. First order of the day was getting lessons. Long-time instructor Ian (who also trained UP Mountaineers, Bubut and Joey Cuerdo) paired me with his buddy, Lemon for the hour-long lesson. It was pretty basic - lie chest-down on the center of the board and paddle forward, catch the wave and do a plank and leap forward stance, weight behind you...and balance. It was hand-holding. He'll tell me when to paddle and would even give me a push. My first wave, accordiing to him, was "first wave, first up" - I caught the wave, stood up, and was able to hold my balance until the wave broke out. I thought, "hey, it's not that hard. I can get used to this.". It went on like that pretty much for the rest of the hour. 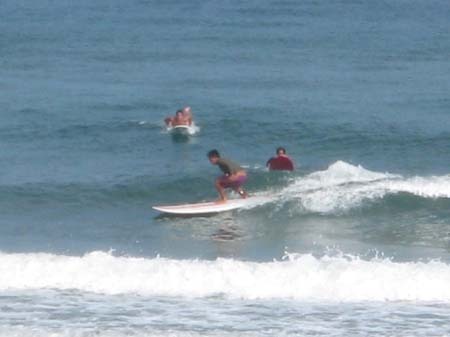 When it was up, I rented the board an additional hour to do it on my own. I was thinking, "This is going to be fun!!!". Somehow, without Lemon, I couldn't get it together. Catching the wave was like grasping the wind; it's all around you, but you can't grab it. The waves just went through me like I wasn't there. The entire hour was like that. I didn't get on one good wave...nothing. It didn't help that the surf wasn't any higher than knee-high too. After the second hour, I had to call it quits. My chest was sore from rubbing on the board and I was toast. 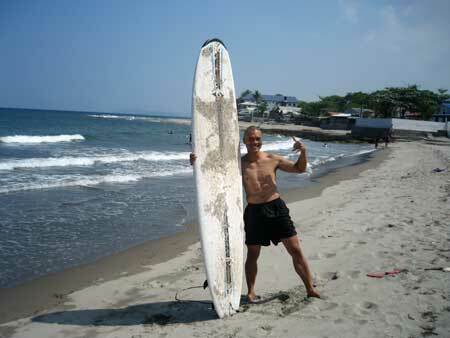 What intrigues me about surfing is the almost fanatical deference surfers have about their thing. It's almost religion to them. I was told of UP Mountaineers member Bubut saying that had he started out with surfing, he wouldn't have gone on to be a mountaineer. Joey Cuerdo on the other hand, has completely reinvented himself from climber to surfer-dude, complete with flow jargon and body language to beat. I was more interested in seeing what they saw, than the act of balancing myself out on a board. In all candor, I haven't seen it...not yet. No worries. There'll be other surfing days for that epiphany. Rome wasn't built in a day. By heading south to San Juan, I've essentially forfeited by Balbalasan itinerary. Maybe it's for the better. 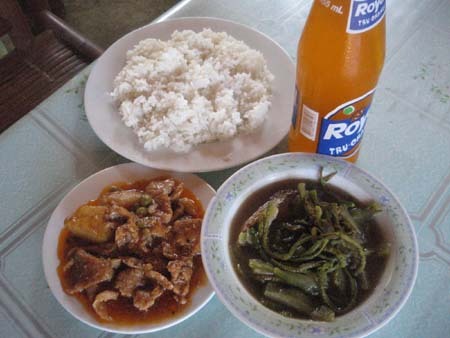 I'll heed Steve's advise of going there via Bontoc (instead of Abra). Besides, I'll be needing another week for that anyway, something I'm short of, if I have to be back in Sagada by Holy Week. Additionally, I'm a big fan of going with the flow. Unexpected opportunities are always around the corner. I don't want to miss out on that by sticking to a rigid itinerary...again, another advantage of traveling alone. With me being south, the next logical destination is Baguio. don't sign-up yet for a day-long board rental - if you're a newbie, chances are, you'll tire after 2 hours, or your chest will get too sore from the board to continue. wear a rash-guard - your chest will thank you for it, and you'll add mileage to your surfing. 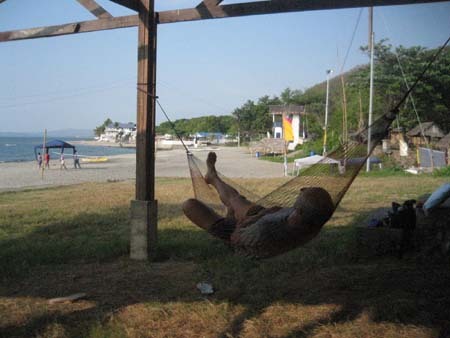 hammock - if you don't have any, get one and don't leave home without it.